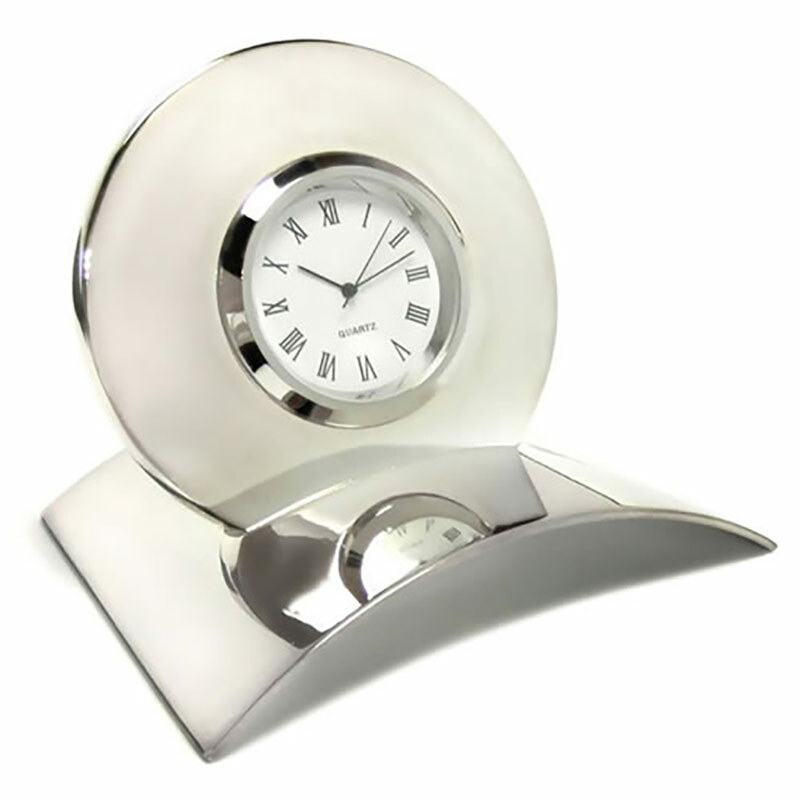 Bask in reflected glory with this free-standing silver plated desk clock on a distinctive curved base. This desk clock makes an ideal corporate award or reward gift item, offering superior quality merchandise with designer looks yet at a competitive price and with FREE ENGRAVING. Let your dealers, partners, employees or agents see their achievements reflected with these prestige corporate gifts. We offer bulk order discounts (see price matrix, above) and low fixed price UK delivery.